Yu- Shik is the Chief Strategy and Planning Officer at Dogus Planet. 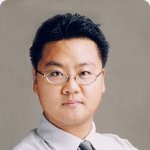 He was the Vice President- Head of Global Partnership at SK Telecom, Project Manager at Monitor Group, and Associate at Samsung. He holds a Bachelor degree in Business Administration from Yonsei University and MBA from University of Pennsylvania. Yu-Shik speaks Korean, English, and German.